Mahesh brings over 25 years of experience in Enterprise Software and IT Services/ Consulting industry experience to Digité. He has been responsible for Product Management, Marketing, Consulting and Professional Services for North America and Europe. Prior to starting Digité, Mahesh co-founded Aravali Technologies, a Silicon Valley e-consulting company, and as COO, managed Services Delivery and Operations, till Aravali’s successful acquisition by an India-based publicly owned company. Before that, Mahesh spent 12 years in HCL America and NIIT, India, where he managed a variety of business development and project delivery functions for software as well as product management of PC based CASE and project management software in India. Mahesh holds a Bachelor’s Degree in Electronics Engineering from MS University, Baroda and an MBA in Systems and Marketing from XLRI, Jamshedpur. 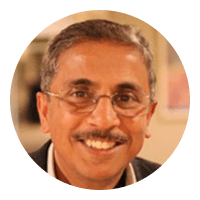 He is also a Kanban Coaching Professional (KCP) and an Accredited Kanban Trainer (AKT).